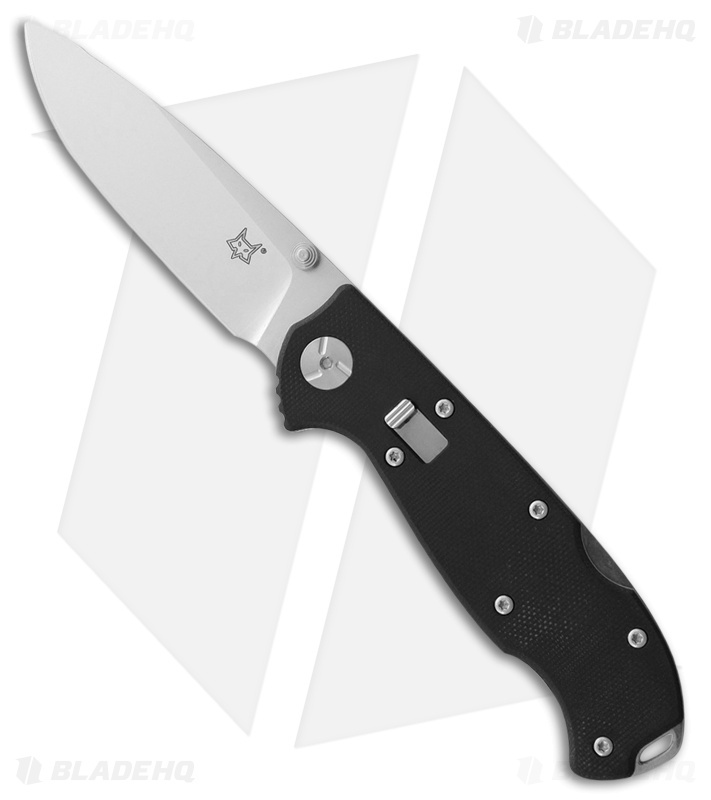 The Fox Ron Lake Folder with a Bohler N690Co stainless steel harpoon blade, black G-10 handle and reliable back lock design is sure to be an easy addition to any everyday carry rotation. The subtle harpoon blade shape is made of Bohler N690Co stainless steel, for a fantastic edge and ease of sharpening. Easily deployed with dual thumb studs, a rugged lock back design secures the blade in place. Black G-10 handles are comfortable in hand and provide excellent purchase of the knife.